One of our worship services. One of our game nights. Our chaplain, advertising the door we used for our Reformation Day celebration tabling event. Two of our students, making creative use of Canterbury’s ramp. A lunch break during one of our long drives. This is a photo of all of the LCM students from the state of Arizona (that could get the time off of work), spending some time together during our annual retreat to Sedona, AZ. 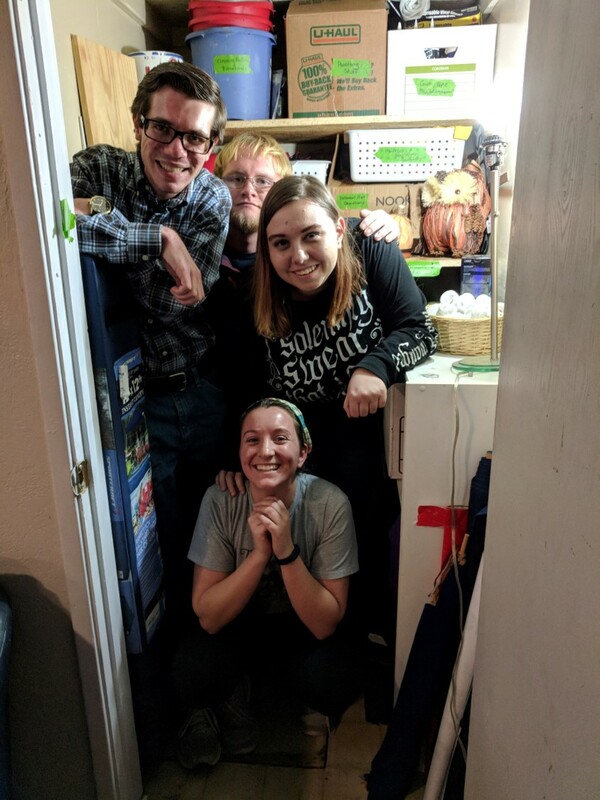 Some of our students, flaunting the closet that they organized.